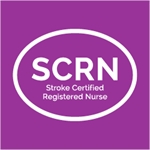 Newly revised, the AANN SCRN Self-Assessment Exam is used to assess whether or not a candidate is prepared for the Stroke Certified Registered Nurse (SCRN) examination. This self-assessment was updated to reflect the new SCRN content outline based off of the most recent job analysis study completed in 2018. Use the SCRN self-assessment exam as a pre-test to better understand your current knowledge as it applies to the certification and determine where additional studies are needed. The self-assessment examination is 75 questions in length and parallels the actual SCRN examination content outline. Please note: The self-assessment examination is not intended to replace studying for the credentialing of the examination. Your performance on the self-assessment examination will not guarantee results on the actual SCRN examination. The self-assessment examination is 75 questions in length, whereas the actual SCRN examination includes 170 questions, 20 of which are pretest items that are not scored. The self-assessment examination is not required to sit for the SCRN certification examination. Expiration: The self-assessment examination is only available for 30 days from the date launched on the Learning Managment System (LMS). Note: Purchase of the self-assessment examination is intended for single person use by the person who purchased the self-assessment examination. ONCE THE SELF-ASSESSMENT EXAMINATION IS PURCHASED, NO REFUNDS WILL BE ISSUED. The self-assessment exam includes instant grading. When an answer is submitted, the subject area for the correct answer will display. Once the assessment is submitted as complete, the summary page and your final score is shown. You will have the ability to view the analysis tab, your score for each subject area, download your notes, question results, and summary. 1. Determine whether they’re prepared to take the Stroke Certified Registered Nurse (SCRN) examination. 2. Have a better understanding of current knowledge as it applies to the certification and determine where additional studies are needed. Copyright © 2017 by the American Association of Neuroscience Nurses (AANN). All rights reserved. Any unauthorized reprint, use, distribution, or commercial exploitation of this material, in whole or in part, is strictly prohibited. No part of this publication may be stored, reproduced or transmitted in any form or by any means, electronic or mechanical, including copying, recording, or by any information storage and retrieval system without express written permission from the author/publisher. For information, contact the AANN at 847-375-4733. I purchased this product and took it one time. It then went away and I was unable to take it again. Don't waste your money. Only allows you to take the test once. Basically yo are paying $90 for 75 questions. Buy a review book full of questions instead. This exam only let me take it once. Not worth the money. It did not give me enough feedback about what the questions were asking, especially if I got the question correct. Seriously not worth the money. I only bought it because there is so little information about the exam and how to study, what the questions are like.